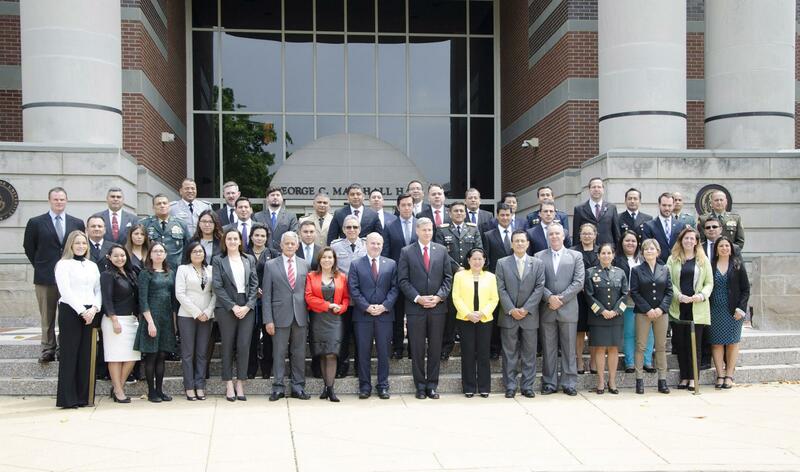 On Monday, May 14, 2018, two courses began at the Perry Center: Strategic Implications of Human Rights and the Rule of Law (HR/ROL) and Combating Transnational Organized Crime and Illicit Networks in the Americas (CTOC). 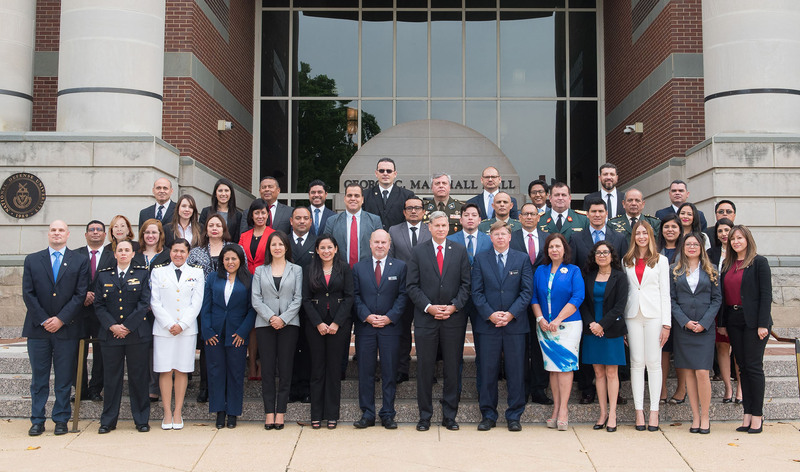 Over 80 Military and civilian officers representing 16 countries in the Western Hemisphere arrived at the Perry Center to begin their 2 week residency phase of the seminar. Led by Professors Patrick Paterson, Dr. William Godnick, and Visiting Fulbright Fellow, Maria Teresa Belandria, the students will spending two weeks analyzing human rights, rule of law, international humanitarian law, military professionalism, the law of armed conflict, and transnational justice. The course will also examine the formulation, implementation, and evaluation of such policies. The second specialized course, Combating Transnational Organized Crime and Illicit Networks in the Americas (CTOC) led by Professor Celina Realuyo, Dr. Boris Saavedra, and Mr. Ricardo Gómez-Hecht, examines Transnational Criminal Organizations (TCOs) and the defense and security threats that they bring to the region through their illicit activities such as drug trafficking, money laundering, human smuggling, cyber-crimes, to name a few.